There are two sources in California law for Restraining Orders: Family Code Section 6203 and Code of Civil Procedure 527.6. The family code section pertains to Restraining Orders between family members, and is generally used by husbands and wives against each other as well as people involved in a dating relationship; the Civil Procedure Code allows persons not related to each other to bring restraining orders against one another. So the Civil Procedure Code can be used against co-workers, neighbors as well as between girlfriends and boyfriends. There is some overlap with Family Code Section 6211 because people who are dating can also bring a Restraining Order under that section when there have been occasions of domestic violence. That there is harassment by the Respondent against the Petitioner. Any single one of these grounds is enough to justify the granting of a Restraining Order. A threat of physical violence can be the statements “I am going to kill you,” or “I am going to beat you up.” The Petitioner must reasonably believe that this threat is immediate and that the Respondent could carry out the act. For example if an elderly wheel chair bound individual says “I am going to beat you up” this may not meet the standard if directed toward a full grown man. However, if the same wheelchair bound individual threatens to kill someone with a gun, then that may be sufficient to permit the court to grant a Restraining Order. Restraining Orders based on Harassment commonly occur when the Respondent makes many unwanted telephone calls in a row; or if the Respondent calls once or twice a day and yells obscenities at the Petitioner; or if the Respondent passes by outside the Petitioner’s home and yells obscenities on a daily or frequent basis. To obtain a Restraining Order based on Harassment the Petitioner must prove that the conduct is of a harassing nature and occurs with some frequency. Actual violence occurs when the Respondent uses force and physically strikes the Petitioner. The Petitioner does not need to actually suffer an injury to have a Restraining Order granted on these grounds. The word of the Petitioner is enough, although it is easier to prove the case if there is a photograph of the injury taken close to the time of the incident. If you are unclear whether you have grounds for a Restraining Order under any of these bases contact Attorney Will Bruzzo at (714) 547-4636. Restraining Orders often come up in Domestic Violence situations between husbands and wives and people in a dating relationship. Sometimes the police will come to a home on a call of Domestic Violence and not find adequate evidence to arrest the spouse; or, the spouse will get arrested but the District Attorney decides not to file the case. In those instances it is not uncommon for the police to recommend that the person get a Restraining Order. There are many reasons why police may make this recommendation as opposed to taking the person into custody. The most obvious one is that a Restraining Order has a much lower standard of proof then a criminal case. A criminal case requires that there be evidence beyond a reasonable doubt that the physical violence or threat of physical violence or harassment occurred. Because a Restraining Order is civil in nature the Petitioner need only prove that the incident occurred by clear and convincing evidence. Also, to prove the crime of Domestic Violence in a criminal proceeding there must be some physical injury no matter how slight. No physical injury is required at all for the granting of a Restraining Order. There are two stages to the granting of a Restraining Order. The first stage results in a Temporary Restraining Order (TRO). This is when the Petitioner drafts her request for a Restraining Order and files it with the court. If the Petitioner feels like they are in immediate danger they do not need to even notify the Respondent, they can just note that in their moving papers and file it with the court. However, the Petitioner must usually try to give the Respondent notice; telephone notice is permitted. The court will then review the Petitioner’s moving papers and can choose to hear from the Respondent or not. If the court grants the Temporary Restraining Order that means that the Respondent may not have contact with the victim from that moment forward. If the Respondent violates the Restraining Order by contacting the Petitioner through e-mail, telephone or letter he can be charged with violating a court order which is a criminal act and can subject him/her to criminal proceedings and jail time. The second stage of the process is the actual Restraining Order hearing. If the Petitioner can show that the elements of a Restraining Order are met then the order is granted for three years and the Respondent may have no contact of any type with the Petitioner for that three year period. A Restraining Order is like any other judicial hearing, relevant witnesses, photographic evidence and documentary evidence as well as the testimony of the Petitioner and the Respondent is permitted. Each party has the right to be represented by counsel. 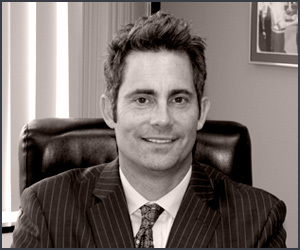 Attorney Will Bruzzo has been very successful representing Petitioners and Respondents in Restraining Order hearings. Contact him to discuss your case at (714) 547-4636.